This post concludes our series highlighting the dialog following from Michelle A. Clifton-Soderstrom’s article, “Covenant Freedom: Freedom for All or Free-for-all?,” published in the most recent Covenant Quarterly issue. Here Clifton-Soderstrom responds to Bantum, Bilynskyj, Erickson, Safstrom, and Snodgrass. We invite you to engage directly with the author in the comments section below (comments policy). The intention of my proposal, drawing on archival sources, is not to adjudicate a conversation around any one particular moral issue. Rather, the intent is to describe Covenant freedom historically and to raise questions regarding the limits of this freedom. While my proposal has relevance for many ethical topics, far more is at stake. Specifically, if the Covenant determines that its long-cherished freedom is no longer a viable way forward in all matters of life together—perhaps most especially in those matters over which there is present conflict—we move decidedly in the direction of becoming a confessional church requiring doctrinal adherence. Covenant freedom—freedom from binding confessions—preserves Scripture as the highest authority for all matters of faith, doctrine, and conduct, as Safstrom also notes. The founders of the Covenant were convinced that when an ecclesial community places one interpretation over Scripture itself, it runs the danger of human interpretations being more authoritative than God’s word. In other words, if a community truly believes that Scripture has authority and power to transform those open to its truths, then the real work of communions such as ours is in faithful, communal, rigorous, charitable, and holistic reading, as the Covenant Resource Paper on the Bible outlines. As far as corporate unity is concerned, one could arguably say that faithful dissent or disagreement engenders Christian unity in that one of its criteria, emphasized in Biblical Authority and Christian Freedom, is sincerity in personal relationships, showing the courtesy of listening to others, exercising care in our words, never using disagreement for advancement, refraining from public shaming, and in all things reflect-ing commitment to Christ. Such practices are the building blocks of unity, and they have great potential to move us from the ease of sameness that a monolithic culture affords to the difficult but valuable work of embracing the diversity of a multicultural communion. This brings me to the excellent questions raised by several respondents around my third criterion, Does the dissenting position relate to the dominant position by being more or less inclusive? Bilynskyj rightly notes that inclusion has limits. He clarifies that inclusion of all people does not mean including all theological viewpoints. Similarly, Snodgrass writes that “the gospel is distorted if inclusion affirms sinful behaviors.” These points are well-taken. Inclusivity in itself and by itself is not a criterion for the boundaries of dissent. Inclusivity is only a helpful criterion if it is tethered to the other four criteria, most especially to faith in Christ and the recognition of the centrality of the word. [I]t is neither helpful nor clear to pit plausible exegesis against cultural values as a general rule. Culture, its values, and Christians’ relationship to culture all need further definition. Culture is an extremely useful and valuable aspect in historical-critical interpretive methods, and a rich understanding of the cultures surrounding the worldviews of the biblical authors even illumines the meaning of texts. Surely a rich understanding of the culture within which readers seek to apply a text also has great potential to illuminate faithful application. Culture and text are not always antithetical to one another. In short, cultural influences have at times driven solid exegetical conclusions. The relationships between both biblical authors and culture and also readers and culture, therefore, must be further clarified before making claims that definitively pit culture against plausible exegesis. With an eye toward renewal through the conventicle-like work of reading together, I ask readers to wonder with me: Does the Covenant need to take a step back and refocus our energy on building and rebuilding relationships with one another rather than foregrounding doctrinal and moral disputes in our life together? Do we need a radical transformation and reimagination of who we are as a body of faith, as Bantum suggests? If lay people, leaders, pastors, and teachers could overwhelmingly say “yes” to this kind of renewal—not one of doctrine but of renewed relation-ships—Covenant freedom may be the very thing that saves the mission of those who have historically been friends. Michelle A. Clifton-Soderstrom is professor of theology and ethics at North Park Theological Seminary, where she also serves as the director of the School of Restorative Arts at Stateville Correctional Center. 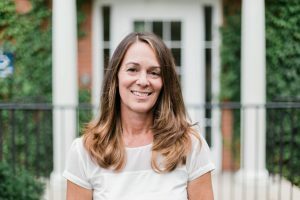 She is the author of Angels, Worms, and Bogeys: The Christian Ethic of Pietism (Cascade Books, 2010) and co-author of Incorporating Children in Worship: Mark of the Kingdom (Cascade Books, 2014). A diversity of viewpoints within the communion creates potential avenues for renewal. The report states, “Thus, our forebears found it spiritually meaningful to live in Christian fellowship with persons holding different doctrinal viewpoints in some important areas as long as their life and spirit witnessed to their submission to Christ and devotion to the Word of God.” Going back to Scripture with the ultimate goal of becoming Christlike demonstrates a mature interpretive process to which the Covenant has been devoted. When ongoing theological and moral questions arise in the church, the commitment to diverse perspectives is a call to revisit and potentially reinterpret the word. The Evangelical Covenant Church has addressed difficult moral and theological questions in a variety of ways. At times the Covenant has made the conscious decision to err on the side of inclusivity, even at some perceived risk. Cases such as the response to the charismatic movement, the statement on women in ministry, or the resolution on criminal justice demonstrate examples of inclusivity that carried some risk. In other cases, the Covenant has responded to difficult moral questions by lamenting inadequate ethical action and even challenging its posture on such issues as racial justice, immigration, and creation care. In other words, the Covenant has confronted its historical postures and sought to correct erroneous theologies and moral practices in a number of areas. At times, two opposing views have been allowed to coexist in the name of unity or driven by the humble conviction that each may be valid, as in the cases of baptismal theology and the debate around just war and pacifism. The ECC’s polity is based on friendship, mutual trust, and ongoing discernment. It also recognizes our imperfect knowledge and need to be open to the Holy Spirit. Because the Covenant is non-confessional, no question of interpretation is off the table. The Covenant began as a renewal movement, trusting the Spirit to work in new and different ways in the face of a variety of complex moral questions, and it has relied on relationships and faithfulness to Christ for unity in this same Spirit as opposed to confessional statements or stipulated moral positions. Policy must answer ultimately to biblical interpretation, and it is precisely within this spirit that the possibility of faithful dissent exists. Work that critiques policy theologically is critical for pastors and reinforces the commitment to renewal that is at the heart of the Covenant’s heritage as readers. There may come a breaking point when a pastor decides she or he cannot in Christian conscience continue to follow policy, but this should only follow a lengthy period of biblical and theological study accompanied by moral discernment. Editor’s note: We welcome formal responses to Michelle Clifton-Soderstrom’s article, for publication in a subsequent issue of the Quarterly. Please contact the editor or submit directly to our website by October 15, 2018, noting guidelines for authors.